The state saw a 2.2 percent jump in population over the past year. 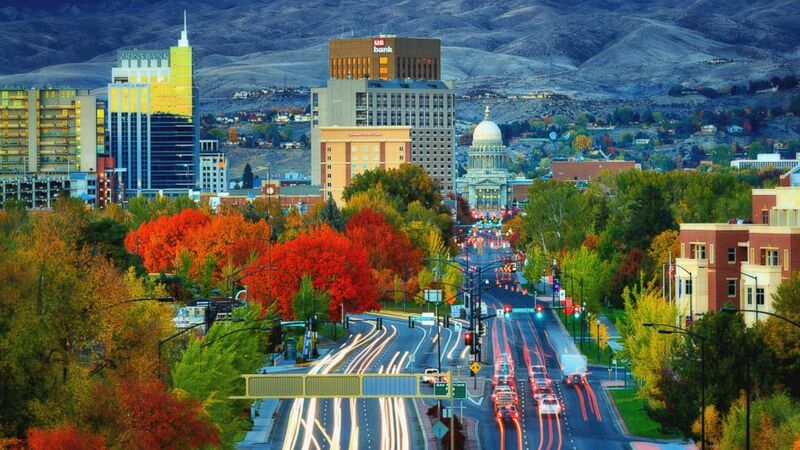 camera (Getty Images) Idaho is the fastest growing state population, U.S. Census Bureau estimates. Over the past year, Idaho became the fastest-growing state in the U.S., according to national and state population estimates that were released Wednesday by the U.S. Census Bureau. Derek Santos, economist for Idaho's Division of Financial Management, attributes this to economic growth in the gem state. "Nearly two-thirds of the 2017 population growth was due to domestic net migration. This showing reflects the draw of Idaho's strong economy and low cost of living," Santos told ABC News. The northwest state, with an estimated population of over 1.7 million people, had a 2.2 percent jump in population from July 1, 2016, to July 1, 2017. Other states in the West -- Nevada, Utah and Washington -- saw similar percentage increases in their population. “Domestic migration drove change in the two fastest-growing states, Idaho and Nevada, while an excess of births over deaths played a major part in the growth of the third fastest-growing state, Utah,” Luke Rogers, chief of the Population Estimates Branch, said in a press release. California, Texas, Florida, New York and Pennsylvania remain the top five most populous states. The south and west regions of America also continue to lead in population growth. Illinois and West Virginia were the top two states whose population in numbers saw a decline, but Wyoming had the largest dip in population by 1 percent. Wyoming has roughly 579,000 people while the Land of Lincoln has over 6.6 million. The U.S. territory of Puerto Rico also took a hit in population numbers. But the Census Bureau’s population estimates did not account for the hurricanes in August and September that hit the Gulf states and Puerto Rico. The U.S. population grew by 2.3 million to 325.7 million, a less than 1 percent jump in population. However, net international migration decreased by 1.8 percent -- the first drop since 2012 to 2013. Net international migration is defined as the difference between people migrating into the country versus the amount of people exiting the U.S. to settle elsewhere, according to U.S. Census demographer Pete Borsella. Data shows net international migration plays a significant role of the population in the U.S. Over 1.1 million people made America their home within the past year, according to the Census Bureau. There are now more Americans that are old enough to vote. The number of voting-age Americans grew to 252.1 million -- a near 1 percent increase over the year. The Census Bureau is planning for its full population count, which it does every decade, in 2020. The Department of Commerce, under which the Census Bureau falls, estimated that the census will cost $15.6 billion. The results of the 2020 census will determine the number of seats in the U.S. House of Representatives and be used to draw up congressional and state legislative districts.